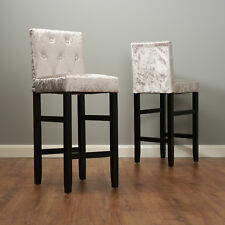 Hartleys Crushed Velvet Silver Bar Stools. Perfect for breakfast bars and tall bistro tables. Plush padded seat cushion with button back upholstery. Stunning silver, light grey fabric. Set of two. Black, solid wood legs with supportive bracing bars and footrest. Industrial Style. Seat Area: 35cm x 35cm. Order in the next. Product Specification Order Alterations. Height: 72 cm. This Victorian style bar stool is very comfortable to sit in. Width of Backrest: 47 cm. Materials: rubber wood & padded fabrics. This Victorian style bar stool is very comfortable to sit in. 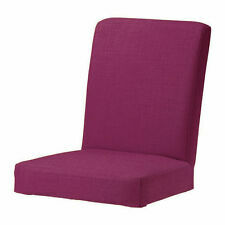 Width of Backrest: 47 cm. Materials: rubber wood & padded fabrics. Seat Height: 84 cm. 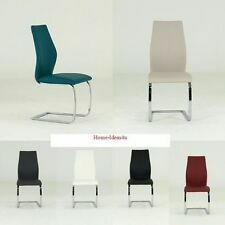 Kitchen chairs come in a variety of shapes, sizes and colours with styles ranging from retro/vintage to contemporary. 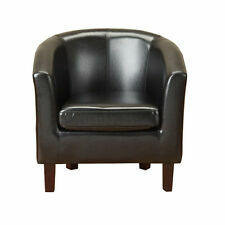 They provide somewhere to sit during meal times and can be placed neatly around a kitchen table or breakfast bar. 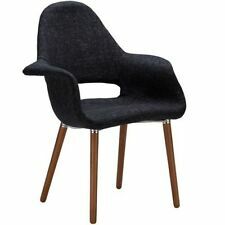 Whether you are after comfort, style or quality, you will be able to find a great range of new, used and second hand kitchen chairs here on eBay. Wooden furniture is authentic and wouldn’t look out of place in a country cottage, restaurant or farmhouse. 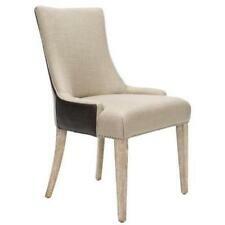 Wooden chairs can be painted or painted then sanded to create a shabby chic effect. Those made from solid wood are strong, reliable and long-lasting while those made from a combination of wood and other materials such as plastic are typically lighter and easier to move around. 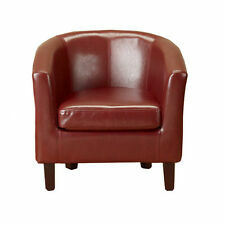 Some chairs have cushioned seats for comfort. 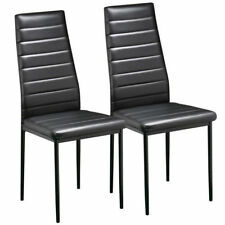 Kitchen chairs made from real or faux leather are comfortable to sit on and add an instant touch of class to the home. They’re easy to wipe clean and are often complemented by a highly-polished chrome frame. 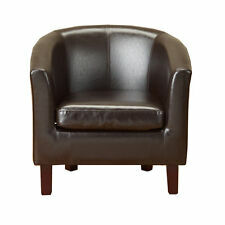 Leather chairs are either static or have a swivel motion. Leather chairs with a high back and contrasting wooden or metal frame will bring a touch of contemporary style to your kitchen. If you are looking for vintage inspired chairs opt for seating with a rounded back and an Eiffel Tower inspired base, ideal for a domestic or professional setting. 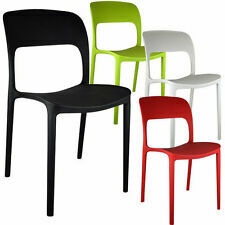 Plastic chairs come in many colours ranging from black and white to vibrant hues of red, blue, green, yellow and pink. Transparent chairs with wooden legs are also interesting to look at and those with unusual shaped backs are fun and charismatic. Plastic chairs provide comfortable seating for meal times but can also be used for other events such as barbeques and camping trips. Kitchen chairs can either be made entirely of metal or have a metal frame with a plastic, leather or fabric-covered seat. Chairs tend to have a high-gloss silver finish but can also be painted to suit your home.